And it's the perfect summer project! Get all the details and the story behind the design on the free pattern page at the top of the page. 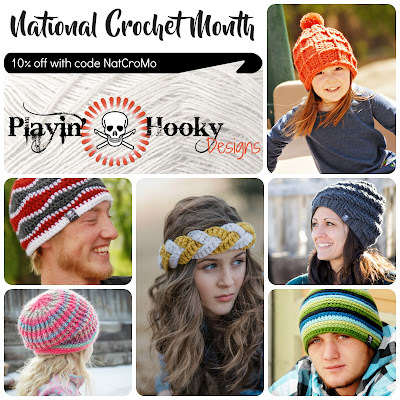 NatCroMo - almost sounds like it could be a blues singer - is National Crochet Month and it's happening NOW! In the past there may have been a public stigma that crochet is something only little old ladies do in their doily-decorated houses. Well, we all know that's not always true - not to knock the doily ladies because I pretty much think they rock too with their teeny hooks and crochet thread. Mad props. This generation has brought a new set of crochet enthusiasts and experts who are constantly pushing their skills, and creating new techniques and styles. There's LITERALLY something for everyone. If you doubt it I dare you to google "crochet for _insert anything_" and see what you find. 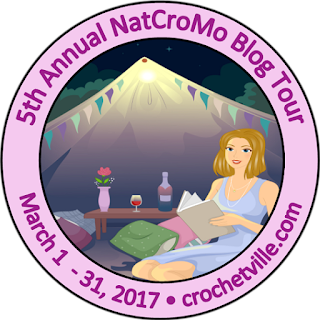 As a bonus, here's how you can celebrate NatCroMo, Playin' Hooky style. 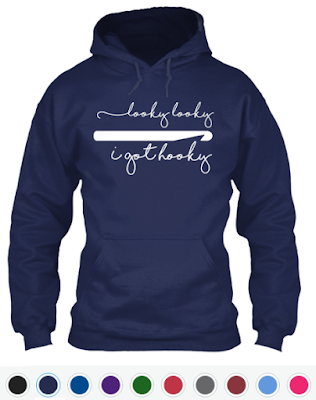 Get some hooky swag with "Looky Looky I Got Hooky" tees, hoodies, and mugs. Check out my tips, tricks, and tutorials to help push yourself to the next level. Follow me on social media to stay up with promotions and NEW designs! If you've ever crocheted in public, you know that more often than not someone will ask you what you're knitting. 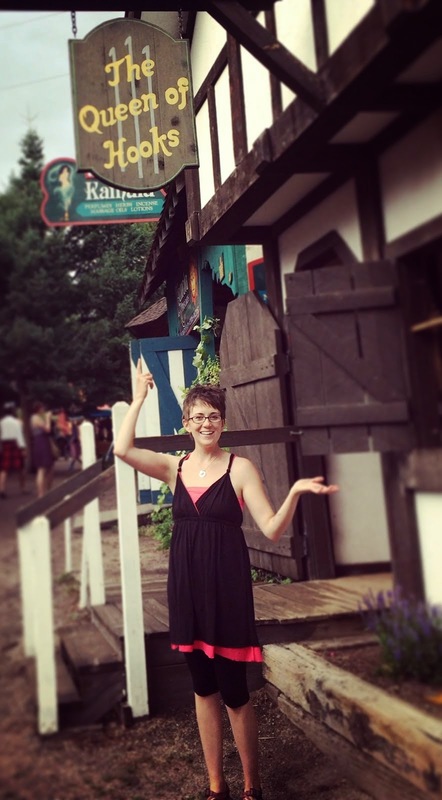 (If you've never crocheted in public, you SHOULD!!) It can be a little irritating that everyone thinks that yarn=knitting. Let's change that!! For National Crochet Month, I'm offering an exclusive run of these Looky Looky I Got Hooky sweatshirt, tees, and coffee mugs to show your hooky pride.